Description: Utilizing a blend of timeless craftsmanship and classic design, Zale offers a distinctive architectural style. 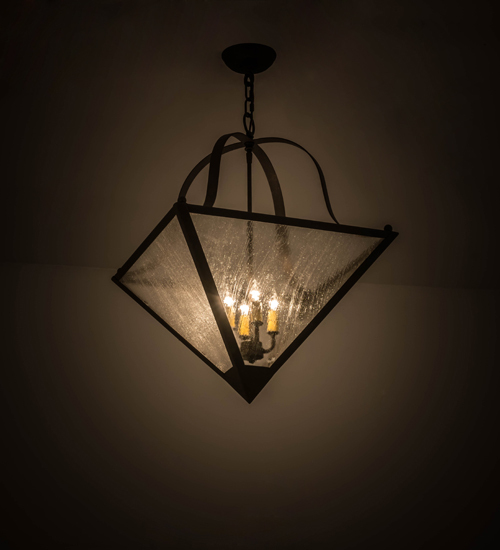 A solid steel structure features Clear Seeded Glass complemented with a frame and hardware in a handsome Gilded Tobacco finish. This ceiling fixture is handcrafted by highly skilled artisans in our 180,000 square foot manufacturing facility in Yorkville, New York. Custom styles, sizes and colors are available, as well as dimmable energy efficient lamping. UL and cUL listed for dry and damp locations.